I was met by the property manager on arrival, and shown through the property. It was great to have tea, coffee, milk, butter and bread supplied. I thought that was a nice touch and it was very helpful to me. Through the property owner, I had organised a cab to both pick me up from the airport and return me to the airport at the end of my trip (I paid the driver cash). Both services were on time, and friendly drivers. The property was very clean and comfortable. It had a very nice view. There are small restaurants nearby and some small supermarkets; or you could walk into the main streets of Valletta for more options. Wi-Fi was really good, shower/hot water was great. Overall, I thought the property was great and would recommend it (the property I was in is suitable for 1-2 people). The apartment was beautifully decorated and very clean. Well situated - not in the very center, but within a walking distance. On the other hand, you have wonderful view - the sea is almost next to you, when you are having your breakfast :-) The War Museum and Upper Barraka gardens are just in front of you. Thank you, Rachel! Wonderful location. What a great view on the harbour. 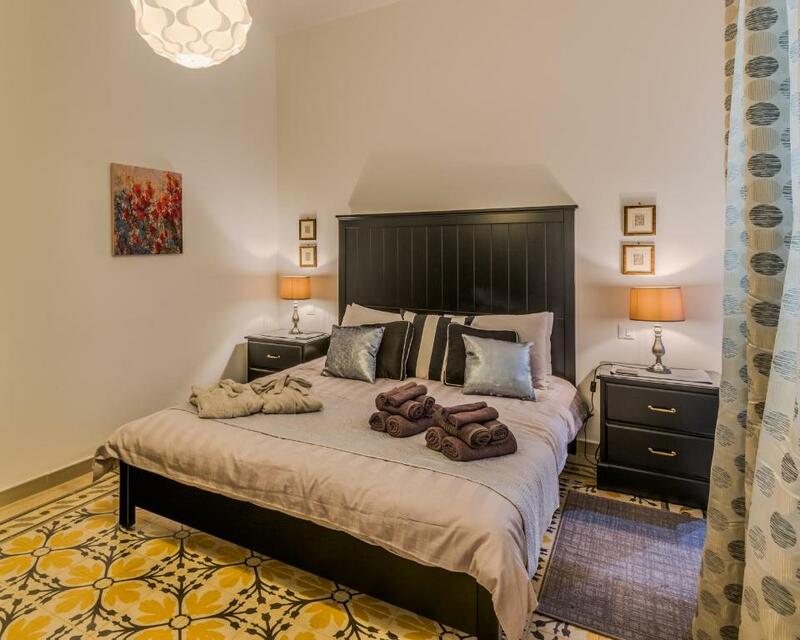 Clean and comfortable apartment in a beautiful traditional building. Very friendly and helpful host. Definitely to recommend. Hosts met us upon arrival. Kitchenette was stocked with bottled water, fresh baked bread, butter, cereal, and milk for first day's breakfast. Coffee and tea supplies were also on hand. Location is superb. Apartment is new & clean. My wife & I would suggest if you hasitate. Perfect location, amazing view from the windows, friendly owner. We had a very helpful, smiley host, Rachel, who was always available via booking.com and answered any of our questions quickly, also she helped us a lot (with taxi, restaurant offers, etc.) and provided us with a lot of information. The flat has a great view on the harbour and it is superb to chill out on the rooftop terrace. The bed is comfortable and the temperature was great for sleeping - thanks to AC. The nearest place to swim in the sea is just 2 minutes from the flat - as our host drew our attention to it. 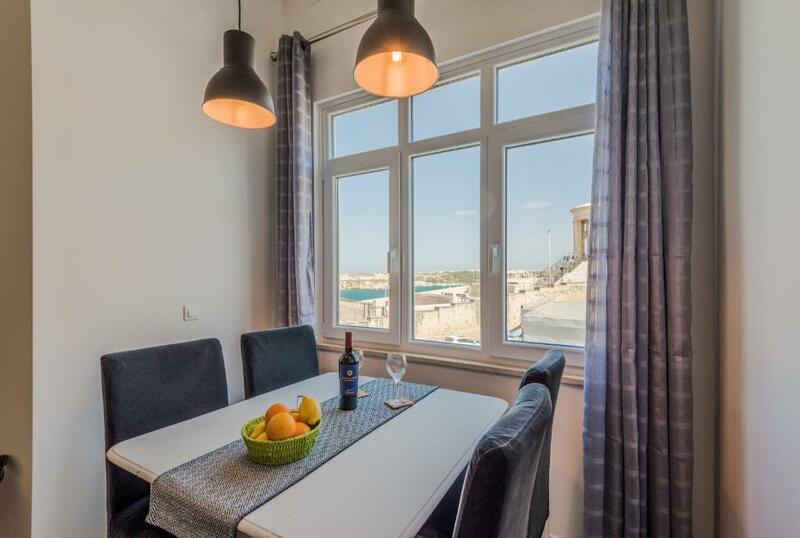 Lock in a great price for Valletta Harbour View – rated 9.6 by recent guests! 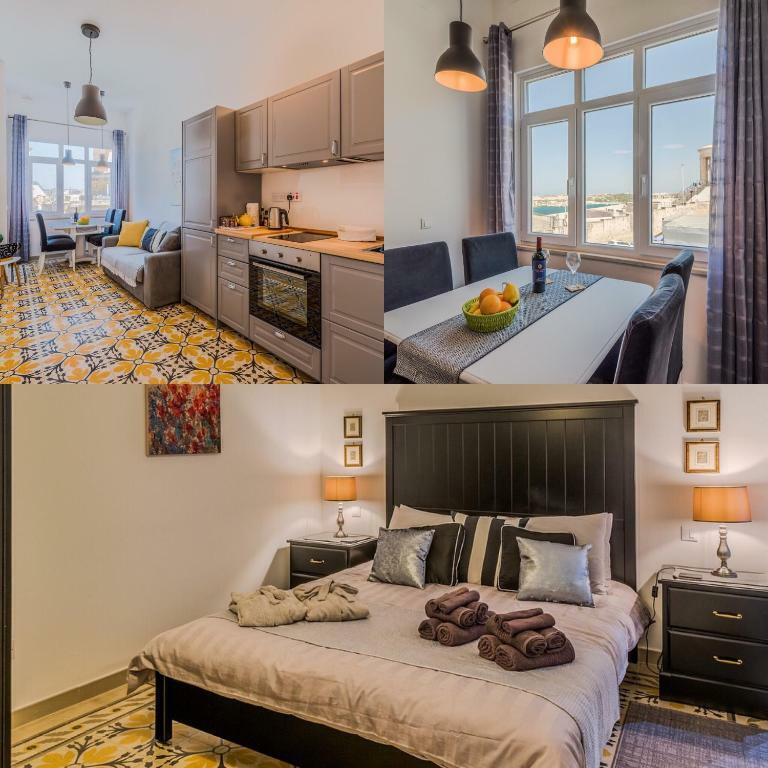 Located in Valletta, just a 4-minute walk from University of Malta - Valletta Campus, Valletta Harbour View has accommodations with free WiFi. The property features sea views and is half a mile from Upper Barrakka Gardens. 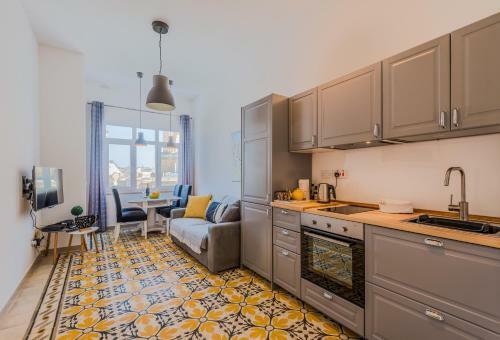 This apartment features 1 bedroom, a kitchen with an oven and a fridge, a flat-screen TV, a seating area and a bathroom. National War Museum is a 7-minute walk from the apartment, while Fort St Elmo is 0.4 miles away. The nearest airport is Malta International Airport, 5 miles from the property. This property is also rated for the best value in Valletta! Guests are getting more for their money when compared to other properties in this city. 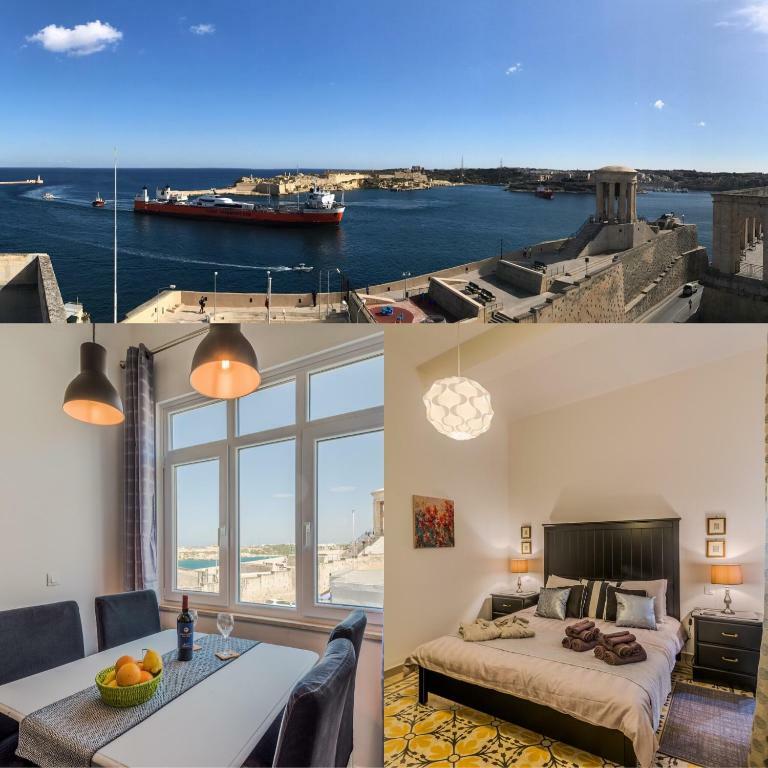 When would you like to stay at Valletta Harbour View? This apartment has a sea view, oven and seating area. 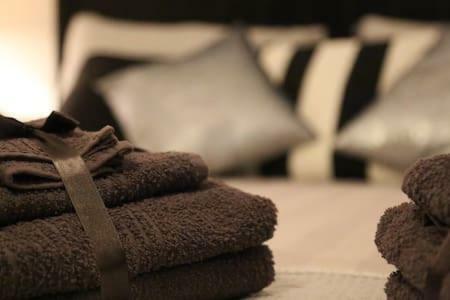 House Rules Valletta Harbour View takes special requests – add in the next step! Guests need be quiet between 9:00 PM and 5:00 AM. Please inform Valletta Harbour View of your expected arrival time in advance. You can use the Special Requests box when booking, or contact the property directly using the contact details in your confirmation. Perhaps some new towels would be good, the one I had was quite thin. No disappointments, although we had some difficulty understanding how to use the remote control with the HVAC unit. See window views in accompanying pictures. A bit cold in the beginjing before we learned how to use the heater. The view..it had everything we needed. Clean. Location. Confort of the appartment.